Pixy is the easiest way to add vision to your robot! 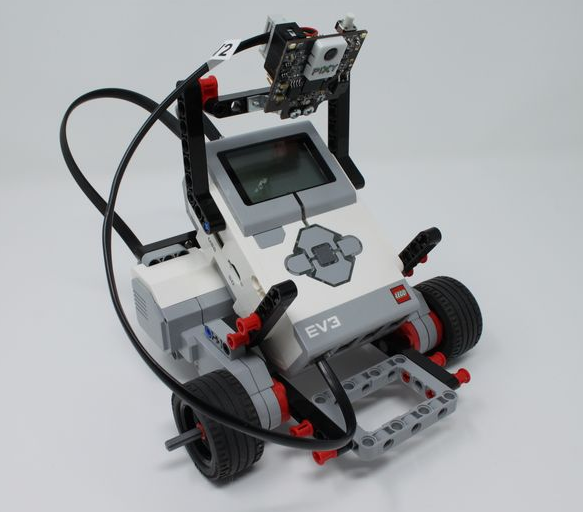 You asked, and we listened – Pixy2 for Lego Mindstorms is now a reality! Functionally, Pixy2 for Lego retains all the features you’ve come to love – line following, integrated LED light source, and color tracking mode – and adds the ability to connect to the Mindstorms EV3 brick with the included cable. We’ve also updated our software library for the Mindstorms programming environment, so you can just drag and drop the Pixy2 block into your program to receive data directly. Already own a Pixy2 and want to upgrade? Good news! All you need is a free firmware upgrade and a $9 cable – see our instructions here. Available now from Robotshop and Amazon US. More distributors rolling out soon! Note: this product is not affiliated with or produced by Lego Group. Hello Pixy fans! 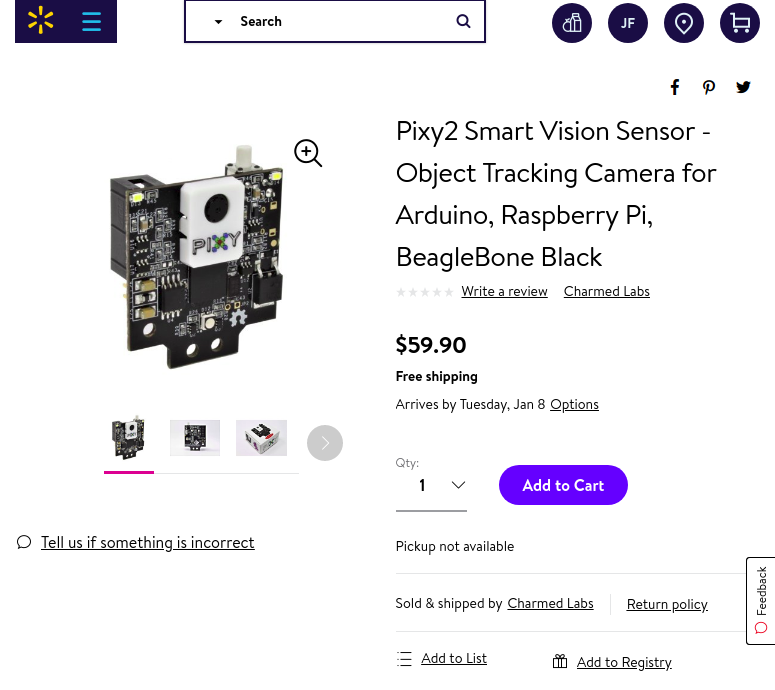 We are excited to share that we have been invited to join the digital realms of sellers on Walmart.com – so Pixy2 and its Pan/Tilt base are now available at Walmart online with free shipping in the US! Hey Pixy fans! Update on our newest product: the fine folks over at DroneBot Workshop have created a very comprehensive video detailing all of the functionality in Pixy2. Check it out below! Posted on May 29, 2018 May 29, 2018 by Jesse FrenchLeave a Comment on Announcing…Pixy2! Hi folks, we are so excited to announce the release of Pixy2! That’s right, your favorite vision sensor has been completely upgraded, hardware and firmware alike. Available now at distributors around the world! Click here to purchase Pixy2 today! Pixy now available on Sparkfun! we are proud to say that Pixy is now carried by major online electronics retailer Sparkfun! They even made a sweet video about our little camera system! Check the video out below – or click here for the product page. We’ve got more good stuff in the works – our engineering team is cranking hard to release some new products in the next 6 – 12 months. Stay tuned! We’ve been reviewed by Jaidyn Edwards, an Australian vlogger and maker, who has been creating some great how-tos and project videos lately. Check out the review below, and his YouTube channel here for tons of inspiring and educational material. Pixy now available at Jameco! 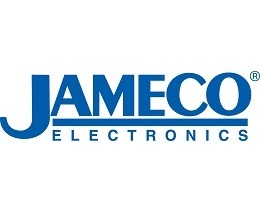 We are excited to be featured in Jameco’s extensive catalog of electronic components! We’ve been buying parts from these guys since the 1980s, so it’s a proud moment to have made it to the “other side” as a product manufacturer. You can check out the listing here. Check out this interview with Charmed Labs founder and lead engineer Rich LeGrand! Worth reading if you’re curious about the process behind Pixy and other Charmed Labs products, and Rich’s thoughts on crowdfunding (in 2013, we raised $250k on Kickstarter to launch Pixy). Join our low-volume mailing list for updates and announcements! Copyright 2019 PixyCam. All rights reserved. Powered by WordPress. Theme: Suffice by ThemeGrill.